The U.S. Department of Interior announced the cancellation of the two Arctic offshore lease sales on October 16, which were to be held in 2016 and 2017. This sealed the fate of future Arctic exploration for the next few years (at least) as the Obama administration officially slammed the door on any future U.S. Arctic drilling, limiting the North American prospects for offshore drilling by some of the world’s biggest oil majors. With sustained low oil prices, political pressure from environmental groups and fading industry interest, it is highly unlikely that any entity (with the exception of Russia, which is still trying hard to break the Arctic jinx) would be interested in resuming Artic drilling even if the leasing process were relaunched in coming years. As a result, the Arctic is officially out of sight. But drillers are now beginning to set their sights on other under-explored frontiers lying much further to the south. Energy giant BP is set to be the first major oil company to get serious about drilling in the Great Australian Bight. With exploration costs of more than $1 billion, the first well, Stromlo, will be drilled by BP in October 2016. “It does appear that we have all the fundamentals here for a new petroleum province,” said BP’s Head of Exploration, Asia Pacific, Bryan Ritchie, who also believes that Australia has tremendous potential for future exploration projects. Although the company is bullish on Australia’s southern coast, Dr. Ritchie also said that BP was looking to reduce its stake in the project to around 40-50 percent (from the current 70 percent) in order to reduce its high drilling costs. 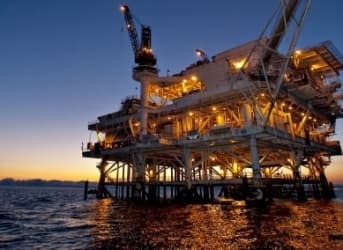 Norway’s Statoil holds the remaining 30 percent stake in a partnership that has plans to drill four wells at a distance of around 200 kilometers from the South Australian Coast. Is it likely that drillers will waste billions of dollars more on the southern pole? Although Southern Australia hosts the country’s biggest oil and gas project, the Bass Strait Joint Venture between BHP Billiton and Exxon Mobil, the region’s past exploration record has been rather underwhelming. There hasn’t been any new drilling activity in the Great Australian Bight since 2003. Also, the current plan to drill new wells has alarmed environmental groups who are now planning to gather massive community support against the upcoming drilling program. Among the most prominent voices is the Wilderness Society, which was instrumental in publishing a recent warning related to the dangers of drilling in the region. “The potential of oil all over South Australia’s beaches was not Colonel Light’s vision for South Australia. This is high risk. Why are the people of South Australia being asked to carry the risk for these big companies whilst they refuse to disclose their oil spill modelling, their plans to respond to an emergency?” said Peter Owen, Director of Wilderness Society. For context, BP is already selling some of its assets to pay for its infamous 2010 Deep Water Horizon disaster in the Gulf of Mexico that killed 11 people. Wilderness Society map showing Deepwater Horizon oil spill superimposed on Oil drilling sites off the South Australian Coast. Still, he considered this drilling campaign to be among the company’s top three exploratory campaigns, along with in Brazil and Nova Scotia. In spite of the tremendous exploration potential, drillers like BP, Chevron and Statoil are still taking a huge gamble if they invest billions of dollars on such an unexplored region. This could well turn out to be the next great failure for drillers, similar to Shell’s retreat from the Arctic, but a lot depends upon the success or failure of the first phase of BP’s program.